The third day of February dawned normally for Brice Krohn, senior director at the Crane Trust. The conservation group started burning a few tree piles on their property near Alda, Neb., along the central Platte River. But it wasn’t long before he and his staff noticed the water around in the channels around their property rising. Within a few hours, water was filling a wetland slough (an old river channel that sometimes holds water) just north of the Trust’s office buildings, and soon began to overflow its banks. “It was about middle of the day…one o’clock or so when folks from around the area started to say we’ve never seen it this high before,” said Krohn. By evening, rising floodwaters along with an impending winter storm put most of Krohn’s focus on the safety of the Trust’s new bison herd. 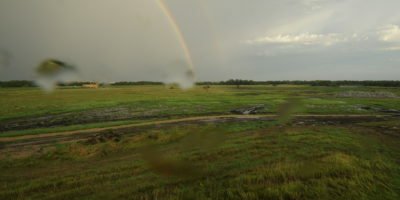 After the storm passed through the next day (leaving the bison unharmed), Krohn found most of their property was underwater. Just a few miles upstream, farmer Scott Thesenvitz first noticed ice pushing up past the bank in the river where he hunts waterfowl. His property lies between two major channels of the Platte, off an unpaved road. “The road stayed intact for two days,” said Thesenvitz, but on the third day ice and floodwaters “just washed it out.” When we visited Thesenvitz a few days after warming temperatures allowed the ice jam to break and floodwaters to recede, county crews were hard at work rebuilding the damaged road sections. Ice jams occur when ice chunks, frozen by cold winter temperatures, pile up in the river, usually around an obstruction like a bridge or narrow point in the channel. They can cause water to back up behind the jam and flood lowlands near the river.  Warmer temperatures and higher flows in the spring often cause more ice to move downstream, said Jason Lambrecht of the U.S. Geological Survey’s Nebraska Water Science Center. 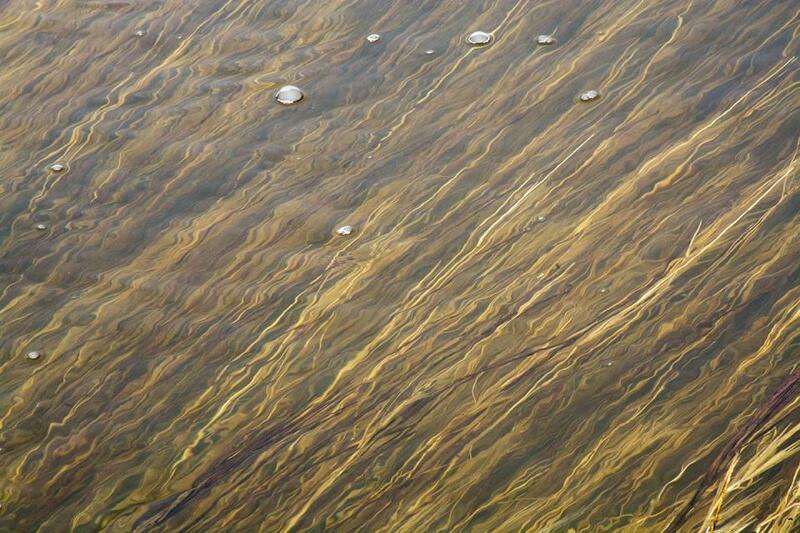 These river processes have always been an intrinsic part of the Platte, helping to create its braided structure. 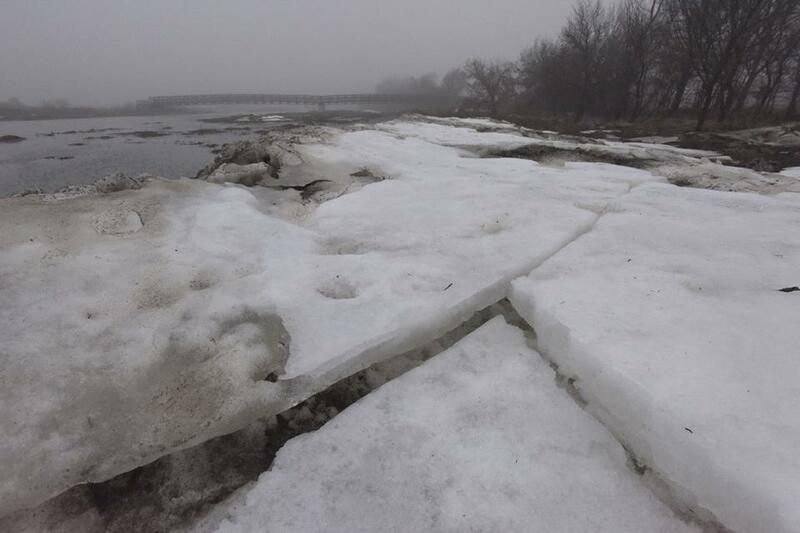 Ice jams and flooding are a perennial threat for many who live along the Platte River. Residents near the lower Platte River around Yutan witnessed an ice jam a mile long in late January. Floodwaters surrounded a few homes in lowlands along the river and several campers required rescue. Local water officials were on the verge of breaking the jam with dynamite—something they hadn’t done in 17 years—when warming temperatures caused it to give way on its own. Beyond the sometimes costly and vexing impacts on roads, homes and buildings, ice jams can create several ecological responses on the land. 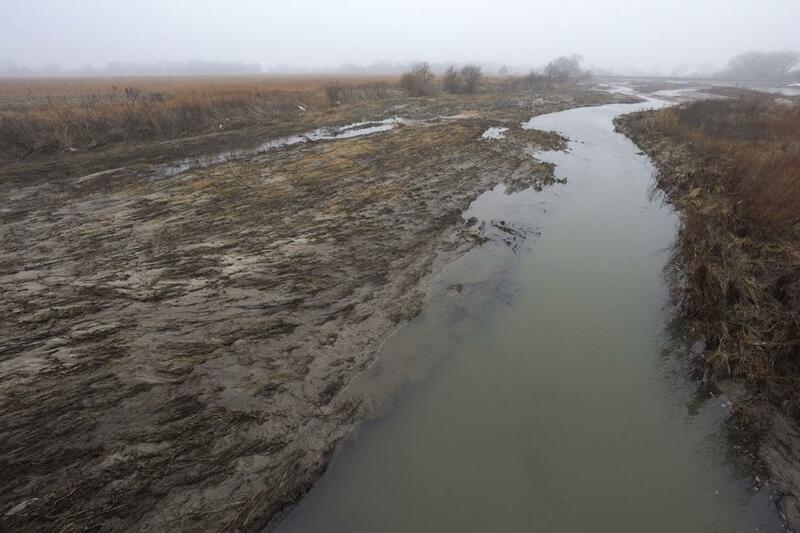 A couple miles from Thesenvitz’s land on the central Platte, The Nature Conservancy’s (TNC) Platte River Prairies property also experienced unusually high flooding. Human activity in the last 150 years altered the river considerably—damming and diverting river flows, building bridges and roads, and increased dwelling and farming in the loamy floodplain. Various factors cause ice jams, Lambrecht said, including bridges and river bends which can create constriction points in the channel. Conservation groups like TNC and the Crane Trust have been working to restore quality habitat for wildlife and ecosystem health along the central Platte for the past few decades. The combination of high flows and freezing and thawing from ice jams is beneficial from a crane habitat standpoint, Krohn said. The scouring action of huge pieces of ice traveling down the river carries away lots of woody vegetation that normally chokes river channels, benefitting conservation groups like his who normally spend months each year using heavy machinery to accomplish the same task: recreating the historic Platte’s braided channel and bare sandbars that cranes and other native wildlife prefer. Thesenvitz is somewhat skeptical of the work in the river channel. He acknowledged ice jams are a natural occurrence, but said he suspects work by conservation groups to benefit wildlife —such as putting additional flows in the river, removing trees and building in-stream sandbars—might contribute to ice jams and flooding. He said the same part of the river flooded near his house five years ago, and is concerned these spring floods may become a more regular occurrence. Jerry Kenny of the Platte River Recovery Implementation Program (PRRIP), the group who built the sandbars Thesenvitz referred to, said the island construction on their property did not contribute to this ice jam. He pointed out the 2010 flood occurred years before they built the sandbars, and even before they owned that property. He agreed flows were higher during this year’s ice jam than in 2010, but said that water came from the South Platte River, not releases PRRIP made. Kenny and Krohn said some of their conservation work should actually help with flooding by removing dense vegetation and giving river water more room to spread out. While ice jams are common on the river, these conservation groups plan to study the impacts from February’s event to see how it will affect their restoration work in the future. Ice pushed water into wet meadows (mostly fed by groundwater) and other grassland areas that are normally dry. 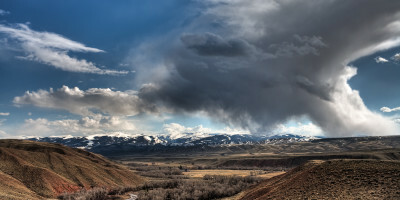 In addition to increasing overall soil moisture, that could result in more connectivity between different habitats during the next few weeks or months. Already Krohn has seen ducks using parts of their property they haven’t historically. Not all ecological impacts are positive, however. Helzer said he’s worried some of the ice jam scouring and vegetation upheaval on TNC’s property will bring in less desirable plants. “Probably the biggest thing I’m concerned about is invasive species coming in. Because there’s purple loosestrife and phragmites and reed canary grass on the river. And the seeds and parts of those plants will probably wash in to some of our sites,” where they may establish and even benefit from TNC’s regular prairie conservation activities like grazing and burning, Helzer said. And it’s still possible another ice jam could occur in the next month or two—winter isn’t over yet.